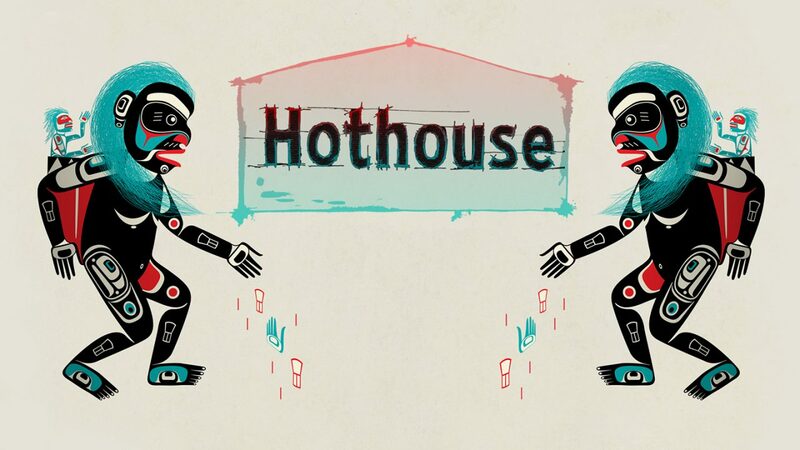 The latest incarnation of Hothouse, the NFB’s world-renowned animation mentorship program, kicks off on February 18, fuelled by all the dynamism and vision of a new wave of Indigenous storytellers and artists. 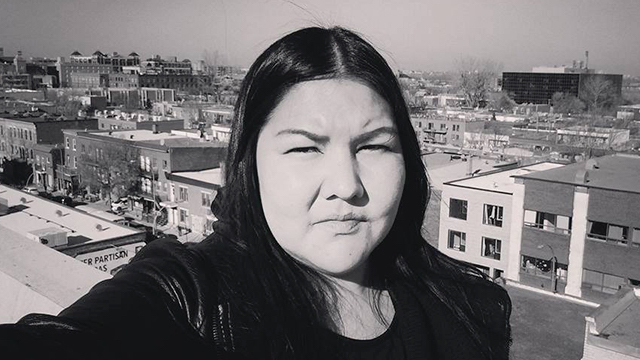 Four emerging filmmakers from across Turtle Island — Whitney Horne, Kassia Ward, Meky Ottawa and Chris Grant — will be participating in the 22-week paid apprenticeship, an intensive program that combines training with the opportunity to create their own auteur-driven project. 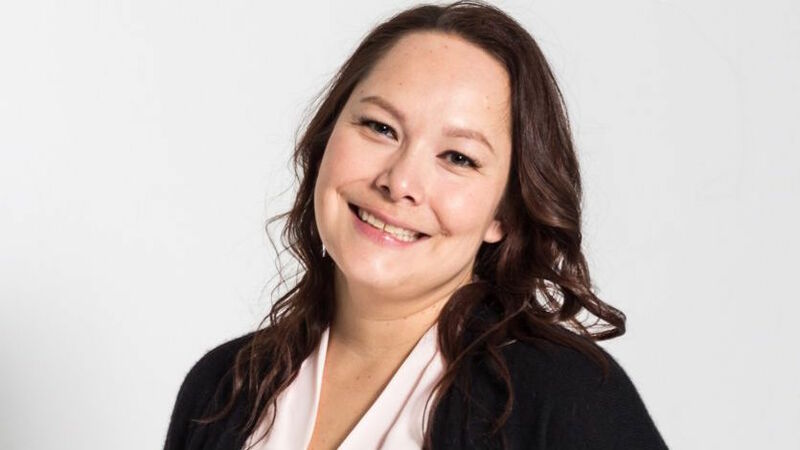 An Anishinaabe filmmaker and producer from the Wikwemikong First Nation, on Manitoulin Island, Amanda Roy has worked with Mushkeg Media, Nish Media and other Indigenous companies, producing everything from Indie films and docs to fiction series and VR apps. She views Hothouse as a way of challenging dominant Western modes of storytelling. 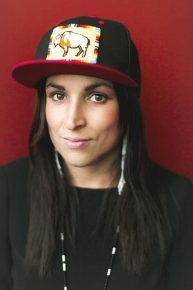 A Michif media artist based in the unceded Coast Salish Territories, also known as Vancouver, Amanda Strong directs and produces animation through her own company Spotted Fawn Productions, winning acclaim for work like Four Faces of the Moon, remarkable stop motion that elicits comparisons to Tim Burton. When the legendary Abenaki director Alanis Obomsawin was given the Clyde Gilmour Technicolor Award by the Toronto Film Critics Association in 2016, she bequeathed the cash award to Strong, acknowledging Strong’s important contribution to contemporary Indigenous cinema. 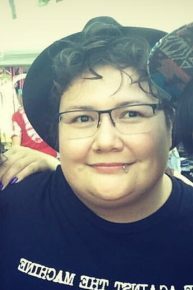 Born into the Dakl’aweidi Clan and a member of the Teslin Tlingit Council in the Yukon, Whitney Horne (Shâwat gha’xhí) is a fashion designer and visual artist who draws inspiration from Tlingit sewing and basketry traditions. 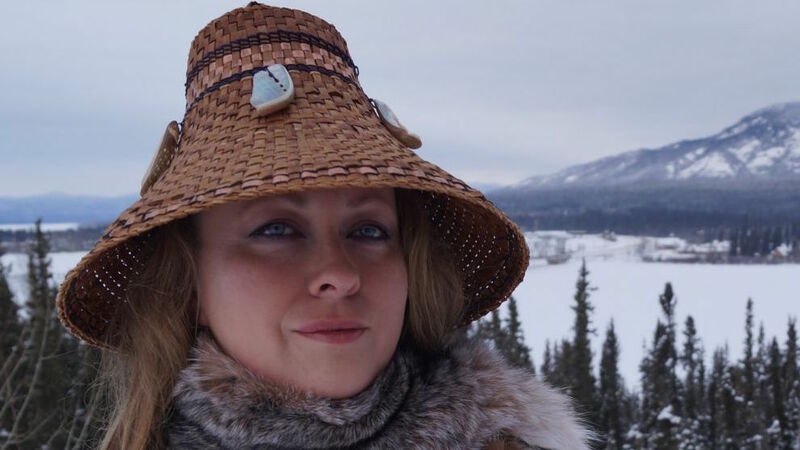 Interested in taking her art practice into the world of film and digital media, her Hothouse proposal is based on the experience of making a beaded Tlingit Octopus bag for a member of her home community. “The night I finished sewing this bag, I dreamt it became animated and took on a life of its own,” she says. “I knew when I woke up knowing that my ancestors were pleased with my work.” She has studied Fine Arts and Natural Sciences at University of Calgary, has worked with the Banff Centre’s Visual Arts Studio, and has exhibited her work in galleries across Canada. 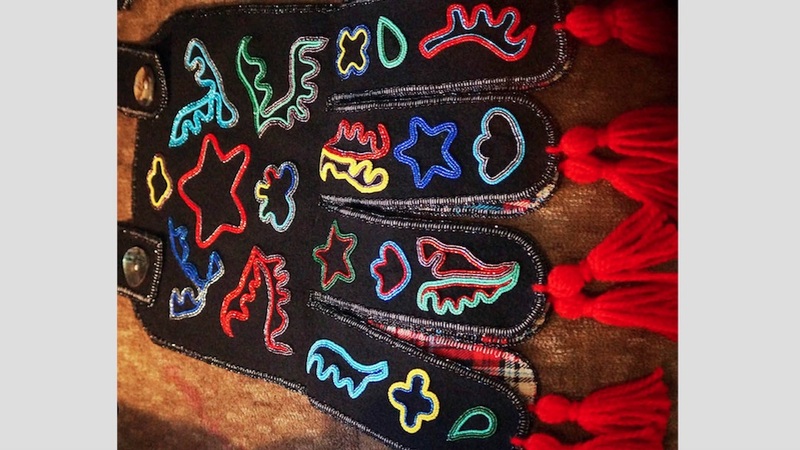 Born in Edmonton and raised on the Enoch Cree Nation, Kassia traces her artistic bent to hearing stories about the trickster Wesakechak as a child and youthful exposure to traditional beading. Having completed BAs in both psychology and biology, she went on to study 3D animation at the Vancouver Institute of Media Arts. Kassia’s interests extend from life drawing to oil painting and lighting design, and her Hothouse proposal is a 3D computer-animated short that explores the psychology of semi-private spaces. 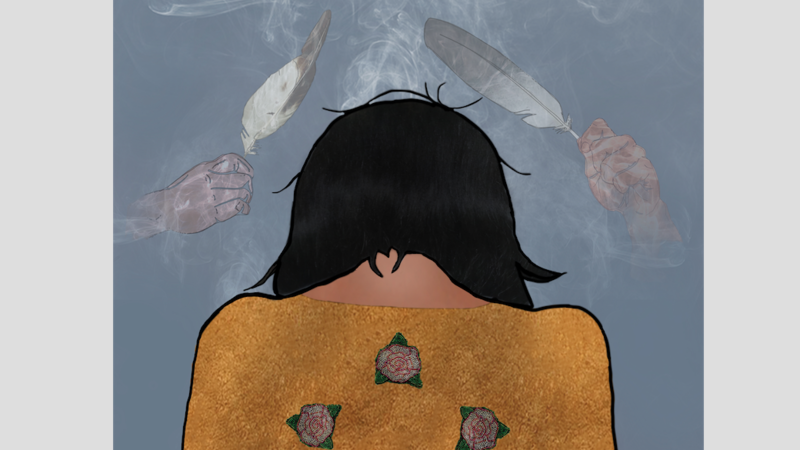 Kassia has created animation for Spotted Fawn Productions and is artist-in-residence at Vancouver’s Skwacháys Lodge, Canada’s first Indigenous arts hotel. Pictured above: “Pray to the Ancestors”. Hailing from the Atikamewk Nation in Quebec, Ottawa works across a range of genres, creating video, illustration, photography and gallery installations. In 2017 she contributed to Kushapetshekan/Kosapitcikan: A Glimpse Into the Other World, an immersive installation at Montreal’s Museum of Fine Arts, and she’s exhibited in several editions of the 13 Moons: Four Nations exhibition. She has also designed album covers, created illustrations for the online magazine Working It Out Together, and made animated sequences for the award-winning music doc Rumble: The Indians Who Rocked the World. 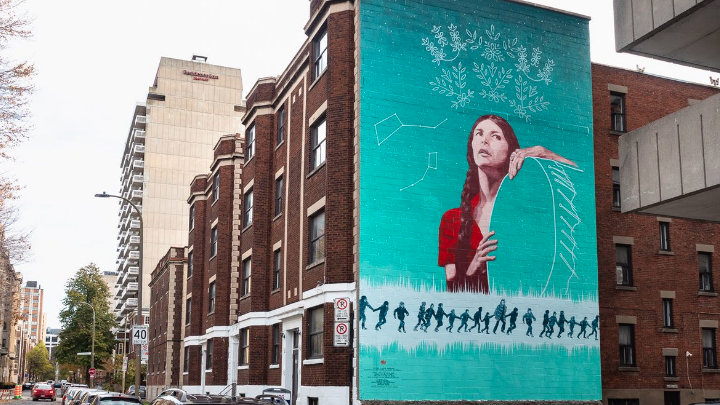 In 2018 Meky Ottawa was commissioned by the Montreal-based arts organization MU to create this monumental mural honouring Alanis Obomsawin. “There’s beauty in the brains of those who are at war with themselves,” states Chris Grant, a young Mi’kmaq artist from the Pabineau First Nation who’s living with schizoaffective disorder. 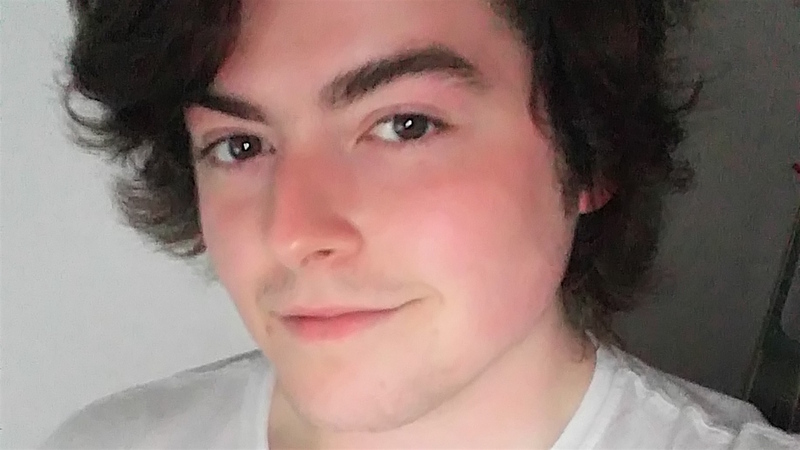 He studied Fine Arts at Mount Allison and animation technique at the New Brunswick Community College, and his work was featured in Young Ancestors, a 2014 group show at Fredericton’s Beaverbrook Art Gallery. 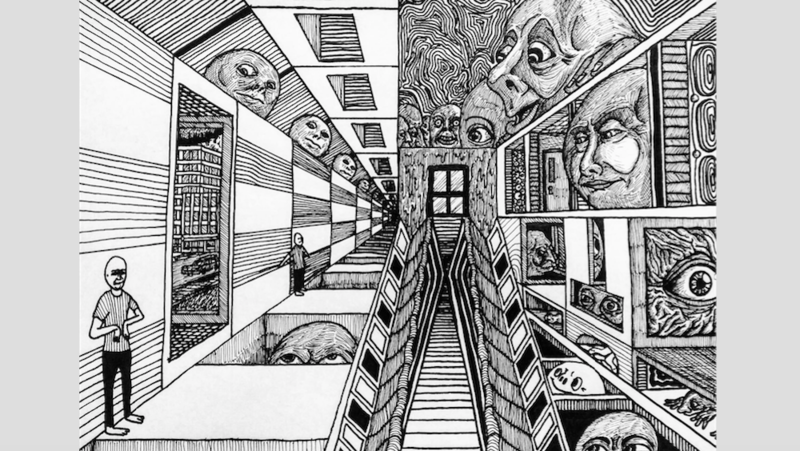 In 2018 he mounted a solo exhibition called Disposing Sanity: Life After The Psych Unit at the Bathurst Heritage Museum. 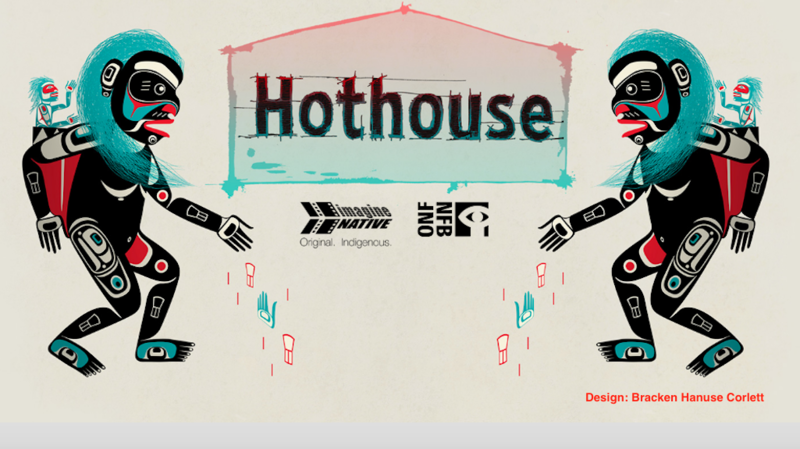 Now in its twelfth edition, Hothouse was created in 2003 by NFB animation producer Michael Fukushima and executive producer David Verrall, with a view to offering an apprenticeship opportunity to emerging animators, offering them a privileged environment in which to innovate with the short animation form. Over 60 filmmakers have participated since the program was established, and Hothouse has helped advance the careers of directors like Eva Cvijanovic and Patrick Doyon, who went on to earn an Oscar nomination for his post-Hothouse film Sunday. The work of Hothousers has circulated widely on the international festival circuit, putting emerging young filmmakers on the map while consolidating the NFB’s reputation as a pioneering presence in the animation arts. 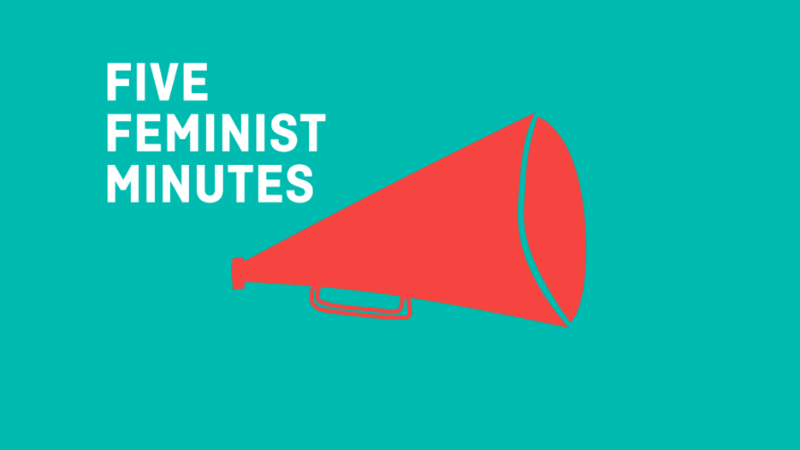 Among recent Hothouse alumni who’ve gone on to create award-winning work with the NFB are Dale Haywood and Sylvie Trouvé (Bone Mother), Alex Boya (Turbine), Alexandra Lemay (Freaks of Nurture) and Paloma Dawkins (Museum of Symmetry). A documentary filmmaker will be chronicling the creative process of the four filmmakers over the six-month apprenticeship, working with the associate producers to make a behind-the-scenes doc that can circulate with the final films, providing a useful companion piece at festival and community screenings. Plans are underway to have the four final films and making-of doc premiere at the 2019 edition of ImagineNATIVE. Hothouse 12 is being executive produced by Michael Fukushima, produced by Maral Mohammadian and Jelena Popović, and associate produced by Amanda Strong and Amanda Roy. 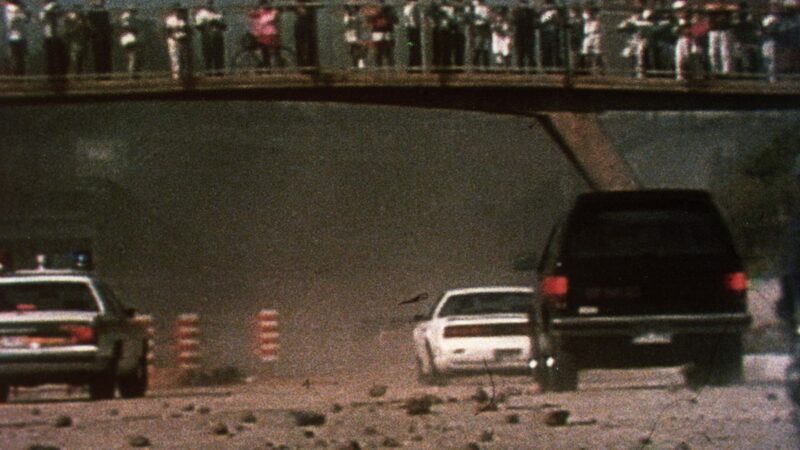 Strong and Roy discuss their vision in this recent interview on the NFB blog.